Regular readers of Vulcan Post would know that we have been noticing (and covering) quite a few food-related startups over the past few months. 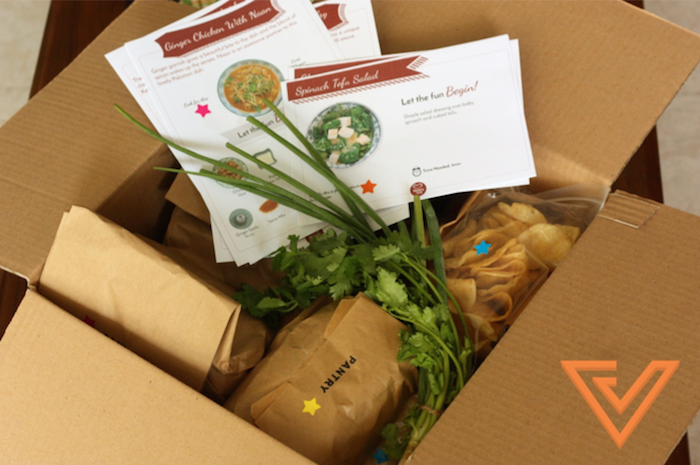 Apart from healthy monthly subscription boxes like Grain and BoxGreen, there have also been new startups which deliver simple meal kits to those who want them. The idea behind meal kits is attractive: customers choose from available recipes, and the printed recipes will be delivered along with pre-measured ingredients, so that customers can simply cook and enjoy. The concept has been proven to work in the States too, with meal subscription companies like Blue Apron, Hello Fresh, and Plated delivering fresh ingredients to customers’ doors weekly, saving them the time and hassle of meal planning and grocery shopping. Blue Apron is the most successful of them all: the company is rumored to be valued at US$500 million, delivering 500,000 meals every month since March last year. 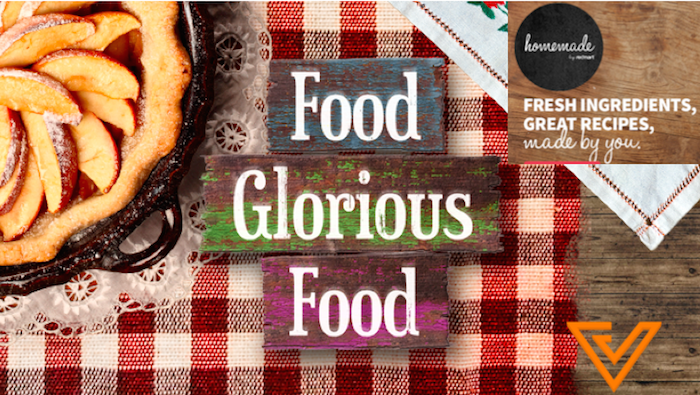 In Singapore, The Hungry Chef is one such startup which appeared on our radar in January this year. 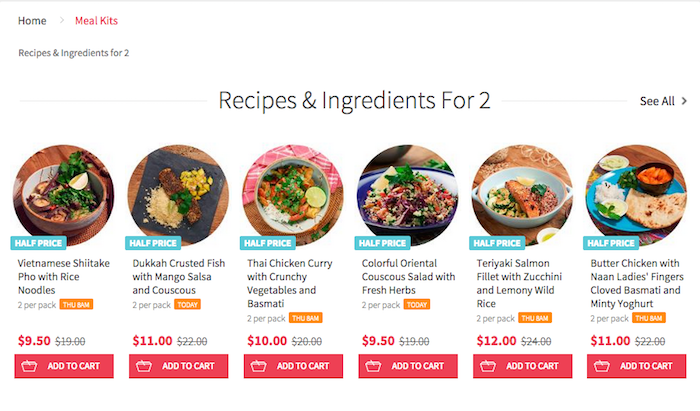 Just a little over a month after the website went live, The Hungry Chef had received almost 30 orders from home cooks around Singapore. On any given day, there are 9 mains, 6 sides and 6 snacks to choose from. Prior to The Hungry Chef, there was Chefbox, which we reviewed in June last year. The company seems to have discontinued their service, though. Shortly after we noticed The Hungry Chef, we also came across the new “Meal Kit” category offered by popular Singapore online grocer RedMart. The product manager wasn’t ready to share anything then, but that’s changed now: RedMart has just made Homemade by RedMart official. 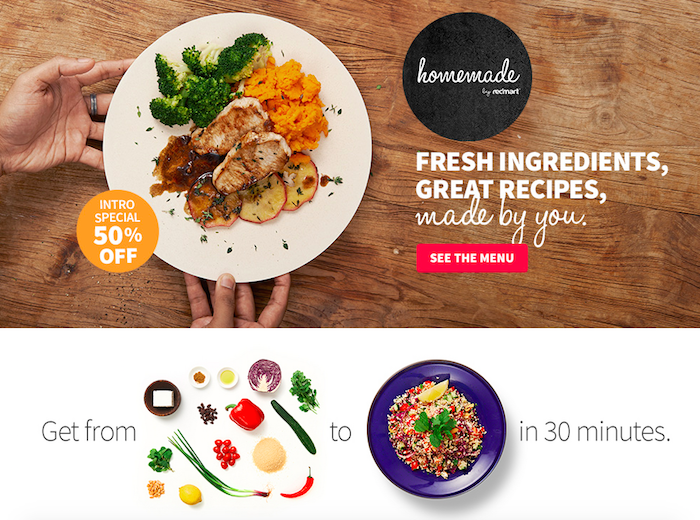 According to its description, Homemade by RedMart allows customers to select from a range of curated recipes; they will receive pre-portioned ingredients as well as super-simple cooking instructions, along with the rest of their RedMart grocery order. The current Homemade meal kit range includes dishes like Dukkah Crusted Fish with Mango Salsa and Couscous, and Thai Chicken Curry with Crunchy Vegetables and Basmati. Recipes are designed to help cooks of all skill levels turn fresh ingredients into a paradise of flavours, in just 30 minutes or less. “Our customers are looking for a healthy and convenient alternative to eating out, where they have more control over what they’re eating. Our Homemade meal kits make cooking at home easy and fun,” said Roger Egan III, RedMart Co-founder & CEO. The recipes are also developed by nutrition and health expert Natalie Black — a reason strong enough to pique my interest and possibly give this a try, along with other time-crunched individuals who are trying to balance health with other priorities. While the pricing might be appealing, do take note that they will be subject to the standard delivery fee structure imposed by RedMart.